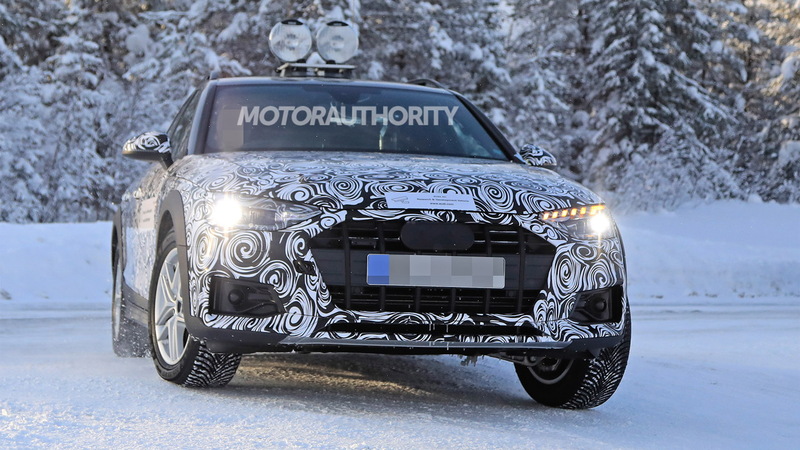 Audi's A4 just received some minor tweaks for 2019 but a more substantial update is on the way for the car's mid-cycle refresh, as evidenced by the recent sighting of a prototype for an updated A4 Allroad soft-roader. The current A4 range was introduced for the 2017 model year so we will likely see the updated one introduced for 2021. A debut could happen in late 2019 or early the following year. 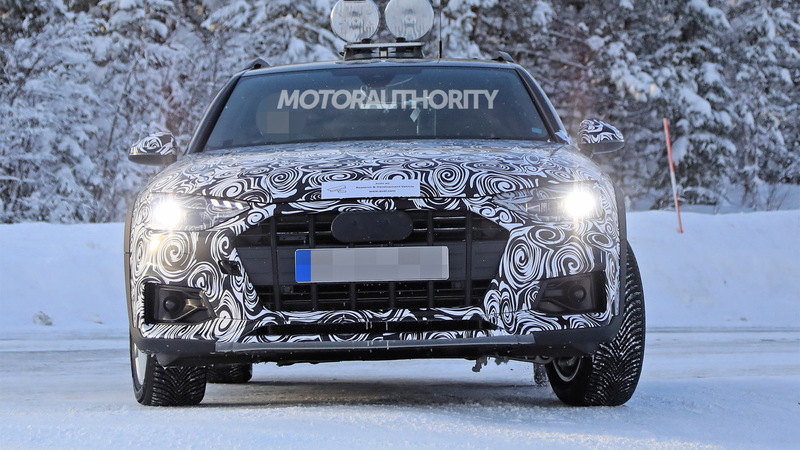 The headlights are new and no longer feature the teardrop element of the current A4 Allroad headlights. 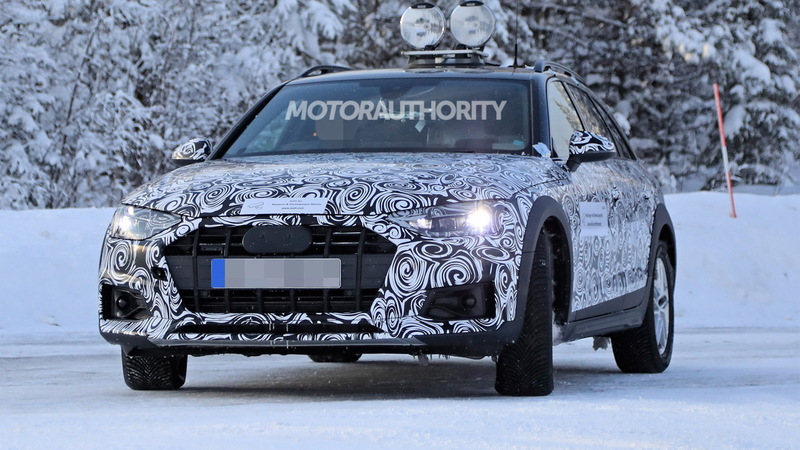 The front grille is also wider and lower than on the current A4 Allroad, while at the rear is a new diffuser design with an integrated dual-tip exhaust system. There's no clear shot of the cabin but inside, the dashboard might be redesigned so that the infotainment screen is integrated with the center stack instead of tacked on top of the dash like in the current A4 range. We might also see the controls for the climate settings switch from physical knobs to a touchscreen interface like in the A6 and A8, though physical controls could remain if Audi goes with a design similar to the one used in the A1 Sportback. 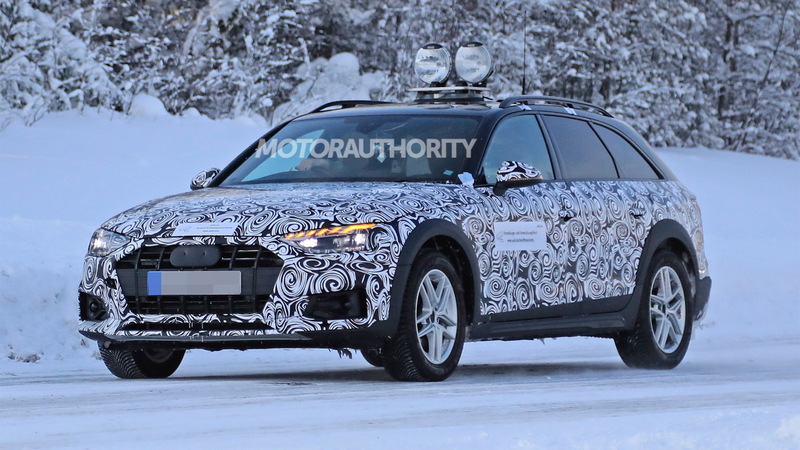 The sole powertrain offered on the current A4 Allroad is a turbocharged 2.0-liter 4-cylinder, and it comes mated to a 7-speed dual-clutch transmission as standard. It delivers a peak output of 252 horsepower and 273 pound-feet of torque and sees the A4 Allroad sprint to 60 mph in 5.9 seconds. No change is expected here. Pricing should come in close to the current model's $45k sticker. 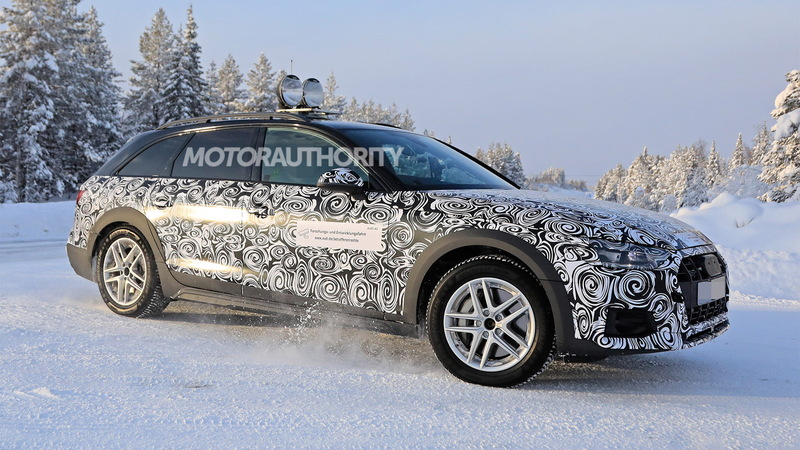 Note, Audi sells a larger A6 Allroad overseas, though this model isn't due here. Other A4 variants like the A4 sedan, A4 Avant wagon, sporty S4 and high-performance RS 4 Avant sold overseas will receive similar updates to those shown here. And eventually we'll see the updates on the related A5 range. Sadly, a manual transmission will no longer be offered in any Audi. The automaker has confirmed that 2018 was the last year that it offered cars with a third pedal, at least in the United States. A special run of A4 Ultrasport sedans was announced to mark the end of the era.